Previously on Silver Screen Classics, I focused on William Wellman’s The Public Enemy (1931); one of the trio of films that would institute the hallmarks of the classic gangster film. What would make the canonical three interesting was that they were made and released during the Prohibition Era with gangsters such as Al Capone very much in the news. It was also the time of the Great Depression where questions about democracy and capitalism were being asked. And of course, in Hollywood it was the Pre-Code era, where film was reaching into areas that would soon be shut down and not make an explicit appearance for many years later. I wanted to look at two films, which act as bookends to the classic gangster cycle and incidentally star the same actor – James Cagney. Whilst sharing some similarities, they are both different films for different reasons. It is tempting to make this a comparison between the two but that is not my objective here. Instead, any comparisons will be incidental whilst focusing on the last great film of the original gangster cycle – The Roaring Twenties. Directed by Raoul Walsh, The Roaring Twenties would be released in 1939 on the eve of World War Two and like The Public Enemy, will unfurl the story of the rise and fall of a gangster. It certainly is not an original tale and even by 1939, it had become an almost clichéd one. Indeed, there are criticisms that the storyline is one that belongs in a Poverty Row B-feature and not in the pantheon of Warner Bros. films. Cagney was not overtly thrilled about the film and felt it would impact on his attempts to break from the gangster mould that had shaped his career since The Public Enemy. Yet Cagney was brilliant as Eddie Bartlett. Despite the trademarks of the genre present and a modicum of truth behind the charge that the film may have had a B-grade script, The Roaring Twenties stands alone as a classic Warner Bros. film. There is hardly a ‘gangster film list’ or film historian that does not claim the film as a classic. So what makes it work? With a superb cast, a brilliant director and the studio style that takes it beyond its’ origins, the film deserves to be considered as one of the great gangster films, as it would prove to be the swan song of the classic cycle. Walsh cinematically employs a style not dissimilar to that of The Public Enemy, in that there is back-story to be told and as an audience we are treated to a social history. The approach of telling this back-story in the style of a newsreel, with John Deering as dramatic narrator, is one that audiences would have been more than familiar with. Walsh not only utilises a news-reel approach at the start of the film but it becomes a tool used at pivotal points in the story, acting as a reminder to audiences that the events of history impact on the individual and can change the direction of one’s life journey. Bitter or sweet, most memories become precious as the years move on. This film is a memory – and I am grateful for it. And so the film’s tone is set– with a sense of nostalgia that will underlie the story. The audience is taken back just over twenty years from the ‘present’ (at least for 1939 audiences) to the battlefields of World War One. As a battle rages, Eddie Bartlett (James Cagney) dives straight into George (Humphrey Bogart), both seeking refuge from the madness in a shell-hole. They don’t exactly hit it off and as they trade jibes, a young soldier Lloyd Hart (Jeffrey Lynn) stumbles into the shell-hole as well. The lives of all three will henceforth be fatally intertwined. Despite Eddie and George being ‘pals’ fighting side by side, Walsh establishes their very different personas early on in the story. Eddie is an everyman with whom our sympathies lie. He speaks of wanting an honest job when the war is over. In contrast, George shows signs of the ‘bad guy’ he is going to become. When Lloyd is reluctant to shoot a young German soldier because ‘he looks like a kid about 15 years old’, George takes careful aim and shoots the boy dead exclaiming ‘he won’t be 16’. George enjoys killing and it doesn’t bother him at all that he has just a killed a boy. Moments later, the declaration comes that the war is over yet the senselessness of the boy’s murder is vacant from their minds, as they celebrate and congratulate each other. Indeed, George says he wants to keep his rifle as it may come in handy. Perhaps a harbinger of things to come. The audience is again treated to a newsreel with voice-over outlining the many changes that have occurred from changing fashions to sport to the ratifying of Prohibition – the last of which will dramatically change the life of our hero. The camera fluidly moves along the street as Eddie returns home to a different world from the one he left. He goes back to the ‘cheesy’, poorly furnished apartment (whose rent has gone up) that he had shared with his buddy Danny Green (Frank McHugh) in a scene that is a perfect example of Walsh’s sense of direction and humour. According to John McCabe in his biography of Cagney, both he and McHugh (in real life close friends) felt that the script was stale and weak. Given full reign by Walsh, the two re-worked the scene into a memorable and certainly humorous one. Danny, exhausted from another long shift driving a cab sits asleep at a small table. Eddie enters and plays upon Danny’s exhaustion, pouring a coffee and sitting down at the table as if he has been there all along. Danny’s reaction is priceless and lifts the homecoming scene to one of humour, warmth and simple celebration. Cagney’s and McHugh’s sense of movement, snappy dialogue and comic timing are allowed to come to the fore due to Walsh’s sense of what actors could give of their own accord, as well his understanding that the script had its’ deficiencies. Upon his return, Eddie quickly discovers that things have changed and it is here that Walsh introduces the theme of the ‘forgotten man’. The New Yorker’s Richard Brody identifies clearly that the film ‘evokes the flailings of unformed men whom a heedless society tossed in harm’s way and then cast aside ‘. As Eddie soon finds, his old job – the idea of heaven that he described as ‘a grease bucket, a wrench, and a cracked cylinder’ – is no longer there despite the promises of his foreman before he left for war. Eddie’s rejection is further offended by two workers who throw open insults at him, testing his patience. Once again, Cagney improvises on a scene, which he felt was clichéd. Tired of ‘fight scenes’, Cagney decided to inject a quicker and funnier solution to his problem – a ‘two for one punch’. Once again, Walsh thought it worked, moving the story along with a humorous act. Eddie’s problems are exacerbated by the events of Prohibition, again outlined by the newsreel narrator. Tired of ‘having doors slammed in my face’, Eddie accepts Danny’s invitation to drive the cab along with him. It’s better than being ‘pushed around’. A moment of humour and what initially appears to be an unimportant aside to Eddie’s story is his opportune meeting with Jean Sherman (Priscilla Lane) – the girl who had been writing to him whilst he was in France during the war. His expectations of a woman with whom he can pursue a romance are quickly sunk, when he discovers that Jean is a schoolgirl. Eddie brushes her off and quickly departs, promising to meet her when she grows up and ‘gets to be a great big girl’. When she does grow-up, Jean will be the tragic target of Eddie’s unrequited love and indirectly lead to his demise. We are also introduced to the other woman that will change the direction of Eddie’s life and be important to him – Panama Smith (Gladys George – who was also a favourite of Walsh). Based on nightclub owner Texas Guinan, George would also employ some of the real life airs of Guinan. Although she was not the first choice for the role, which was supposed to be Ann Sheridan, George made the role hers and again we see the studio touch, with their usual strong supporting players. Again, the theme of unrequited love and the pain of ‘love from afar’ will permeate the film till its’ tragic ending, from two different angles. The two whose loves remain unanswered, will remain loyal to each other, with Panama’s loyalty all the greater – her own personal tragedy being Eddie’s blindness to the love she has for him. But before we get ahead of ourselves, Eddie’s first encounter with Panama will be fortuitous, despite the bad luck that first transpires. Eddie is arrested while inadvertently delivering bootleg liquor to Panama. Despite Panama’s claims that ‘he’s no bootlegger. He’s on the up and up’, Eddie is arrested. In court, his war pal Lloyd defends him but he goes to prison, as he cannot pay the fine. There is some difficulty in believing that Eddie could be so gullible and so green that he would unwittingly be caught up in such a situation. This is certainly another deficiency in Hellinger’s script, regarding the character of the protagonist. Eddie is no mug and knows the streets – he has grown up on them. Additionally, Eddie hasn’t been living in a vacuum, knowing full-well the reality of Prohibition and it can be safely assumed he would have come across plenty of shady characters driving a cab around the streets of New York. But Cagney’s brilliance makes it work; he takes it on the chin with a cynical gesture and makes the situation believable through his portrayal. Here we see the gangster code come to the surface. Whilst Eddie Bartlett is not a gangster in the mold of Tom Powers, Enrico Bandello or even a Rocky Sullivan, the economic drive is all- commanding. As the narrator again outlines the events of Prohibition, another issue previously ignored even during the Pre-Code era is the concept of an unpopular law driving more people to drink. As Eddie points out, they cannot keep up with the demand and are making more money than they could imagine. Eddie knows that it cannot last forever but makes clear to Lloyd, ‘when the gravy’s flowin’, I’m gonna be right there with my kisser under the faucet’. Fate steers Eddie towards the very thing that will lead to his downfall; love. Whilst collecting a debt at a theatre, he notices a very pretty girl in the chorus-line and then realises that it is Jean. She is not overtly excited to see him but after some sweet-talking from Eddie, she agrees to let him accompany her on the late train home. Eddie becomes enamored with Jean and pushes Henderson, the owner of a big nightclub to take her on. Reluctantly, he does so and Eddie also quietly pays her salary. On her opening night, she sings the old standard Melancholy Baby, which will become a wistful reminder throughout the film of Eddie’s rejected love, as well as his eventual downfall. Eddie is thrilled for Jean’s success and Panama sees how Eddie feels. She wants Eddie and tough as she is, Panama does not intend to sabotage Eddie’s feelings for Jean. As Jean’s star rises in the club, Eddie sees her gratitude as love, blind to the realities of the relationship (as well as Panama’s love for him) and plans to marry her. Panama tries to warn Eddie but he will hear none of it and for all his street smarts and ability to read and deal with the people in the racket, Eddie fails to see who does and does not love him. Walsh moves the film’s direction back into the rhythm of the rackets and we first meet one of the major players in the form of Nick Brown (Paul Kelly), whose front is an Italian restaurant. The casting of Paul Kelly is also indicative of the Warner Brothers studio touch. Kelly had been a silent star during the 1910s and 1920s but he was caught in scandal when convicted for killing his lover’s husband in a drunken brawl. 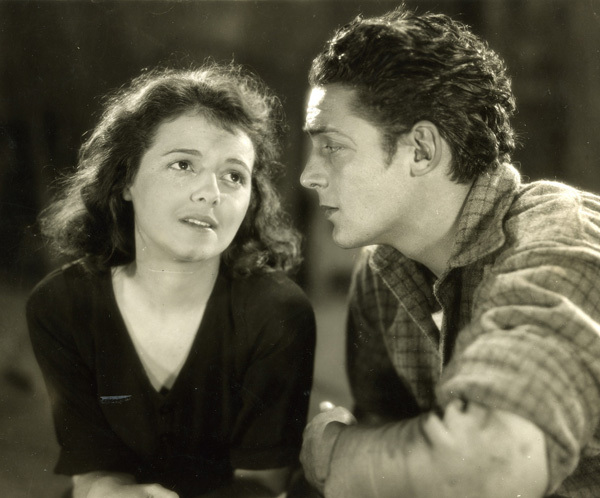 Kelly served time and incredibly rehabilitated his career, marrying his lover, Dorothy Mackaye. Mackaye also served time for her husband’s death, and used her prison experiences to her advantage, writing a book, which became the 1933 film ‘Ladies They Talk About’. Kelly’s vast stage and film experience, combined with his prison experience brought a tough realism to the role that is never over-played. Looking down his nose at Eddie, Brown makes it clear that he sees Eddie as ‘penny-ante’. Eddie will not be held back and strikes out at a boat bringing in Nick’s illicit cargo, whilst posing as Coast Guards. Incredibly, Eddie’s old war pal George, who has long-turned gangster, is captaining the boat. Despite how incredulous the meeting appears, both Bogart and Cagney make the scene work, with a naturalness that makes the scene believable. Here they discuss a partnership and it doesn’t take much to turn George around to Eddie’s way of thinking. Eddie makes a mistake here, pooling his resources in with someone who could very well turn on him, as easily as he had turned on Nick Brown. This fatal mistake will cost Eddie dearly. Bogart brings a nastiness and coldness to his portrayal of George that will become even crueler as the story progresses. As the narrator informs us, the time period is now the mid-1920s, with Prohibition firmly entrenched and the crime gangs using violence and corruption to grab on to and hold on to their wealth and power. It is during a warehouse robbery that a turning point in Eddie’s personal and criminal life will occur. As Eddie, George and their gang rob the warehouse controlled by Nick Brown, George notices that one of the guards is the nasty and bullying sergeant Pete Jones (Joseph Sawyer) from their time during the war. George’s cruel and murderous streak comes to the fore as he shoots Jones in cold blood. Eddie abhors the moment but will pass it off as just one of those things. Again, he fails to recognize that he has partnered up with a cruel and vicious man. Later when George warns Eddie that the lawyer ‘kid’s gonna move in on your gal’, Eddie again ignores it even when Panama agrees with George. Dramatic irony is employed with fatal accuracy when Eddie declares that he trusts his friends. George correctly reads this as weakness, saying to Panama as Eddie walks away, ‘you know, he’s a sucker. I don’t trust mine’. It is also a foreshadowing of what will come for Eddie and whilst the audience hates to admit it, Eddie is a ‘sucker’; blind to George and his intentions, blind to Panama’s love for him and unable to see that Jean does not love him. For Lloyd, the murder of Pete Jones during the warehouse robbery is the last straw. He finally confronts Jean and demands that she reveal to Eddie what her true feelings are. Jean’s reluctance becomes a wedge, driving both Lloyd and Eddie to distraction. She claims she does not want to hurt Eddie but as Lloyd rightfully points out, she is hurting others as well, including herself. ‘You came into this racket with your eyes open. You learned alot and you know alot. If any of it gets out, you go out with your eyes open, only this time, they’ll have pennies on them’. Eddie manages to talk George out of killing Lloyd but again Eddie’s kindness to Lloyd will come back to haunt him, as well as be a test to his own humanity. With the new club updated, Eddie attempts to bring some peace to the warring groups. The peace will be short-lived and Eddie will soon discover the treachery that lurks in George’s heart. Angered by how he believes he’s being treated and wanting power himself, George begins his scheming against Eddie. Here, the film’s pace begins to quicken, beginning with George’s murder of Danny and the predictable gunfight that follows at Nick Brown’s, which sees innocent people killed as well as Nick Brown and two of his hoods. As George hears the news on the radio, believing that Eddie has been killed, he is confronted by Eddie. Yet Eddie does not enact revenge or any payback and does not break their partnership in the traditional way – with a gun. Instead, he tells George: ‘The only thing that’s savin’ your neck is I can’t prove you dealt me a second. But if I ever find out, I got one in here with your name on it’. In some ways, this shows that Eddie is not a complete gangster and has too much honor in him to kill someone on a hunch. A vast contrast to Tom Powers, who would not have hesitated to gun down George. Again, Eddie’s sense of conscience will assist in his final undoing. However, the rug will be pulled from under Eddie’s feet when he goes back to the club to discover that Jean has quit. Panama tries to tell him that Jean loves Lloyd but Eddie will not accept the truth until he steps outside and sees them together. He knocks down Lloyd with a punch but when Jean shows concern for Lloyd, Eddie finally realises the truth and apologetically leaves them. As he returns inside the club, Eddie does something he has never done and asks for a drink. Here, Walsh revisits a theme common in a number of his films – the dangers of alcoholism and the downfall of the hero due to alcohol. But from Eddie’s individual slide into drinking emerges a greater image – of a nation that when trying to save itself from alcohol descended further into it deeper than it could have imagined. And created even greater problems than it could have foreshadowed. Indeed, this is one of the key themes that Walsh discusses throughout the film, both through the journey of the chief characters and that of a nation through the newsreels and narrator’s voice. Eddie’s complete downward spiral will commence with the Wall Street Crash and the start of the Great Depression. Again, Walsh uses the newsreel as a reminder of its’ impact and we discover that Eddie is as much a victim as millions of others. Eddie’s ruin is consolidated by George’s business-like ruthlessness when he exploits Eddie’s position and buys his whole fleet of cabs when Eddie goes begging for money. Here, George represents the new gangster that is going to emerge – one who does not need to brawl and fight in the streets but can manipulate and flex power from an office, probably the worst result of Prohibition. So business-like is Eddie that he even plays golf in his office and he and his lackeys are dressed impeccably. George cruelly taunts Eddie and leaves him one cab to earn a living. Despite Prohibition’s repeal and the celebrations that follow, there is no bright future for Eddie. Or Panama, whose loyalty and love is all the more touching and tragic, shining past her tough exterior and more apparent to the audience than it is to Eddie. Both are reduced to living in flop-houses and barely getting by. Eddie’s demise could not be worse, further fuelled by his descent into alcohol – again the powerful and bitter irony is more than apparent where the very thing which once brought him riches has now also caused his downfall. The fateful day arrives when Jean, now married to Lloyd (a successful lawyer in the D.A’s office) happens to get into Eddie’s cab. Thrilled to see him, Eddie plays it cool and distant, still hurt by the past with little hope for the future. He sees how well she is doing and meets her four year old son. Lloyd also returns home just as Eddie is leaving. Looking shabby, Eddie claims he’ll make it back to the top some day. Lloyd warns Eddie that the days of the rackets are over but in this instance Eddie is wiser and ominously tells Lloyd: ‘Don’t you kid yourself about that. They’ll always be guys tryin’ to get up there quick…’. He also makes clear to Lloyd that he should forget about chasing George, acknowledging the big case that Lloyd is preparing against George.. When Lloyd mentions that he remembers George’s warning, Eddie grimly replies: ‘So does he’. ‘Talk? There’s only one language George understands. And do you think I’m gonna walk into an ambush just because that big, dumb, good-lookin’ husband of hers doesn’t know enough to keep his trap shut? You’re crazy. No dice, Jean, no dice’. His refusal clear, Jean leaves upset but Panama continues trying to wise Eddie up. As they leave the saloon, the piano player plays ‘My Melancholy Baby’ and our heart breaks along with Eddie’s, as he stops for a moment and listens. Here, we see Cagney’s magic, lifting the scene to another level. There is no other way to play that moment, other than the way Cagney does; a wistful smile, which speaks more than anything else to the pain that Eddie feels – and a moment that reaches out to all of us who have felt that very pain. It’s a private moment for Eddie that Cagney shares with everyone. Perhaps the song being played, along with Panama’s urging sends him to talk to George. Looking pathetic with hat in hand, Eddie begs George to lay off Lloyd but confident and determined in his cruelty, George refuses. A defeated Eddie hangs his head and begins to leave before being George orders his henchman Lefty to give Eddie a ride. Eddie realises what’s happening and reacts quickly, hitting Lefty and grabbing his gun. As George cowers and begs for his life, Eddie does what he should have done years earlier and shoots George dead. What follows is one of the most famous scenes in the pantheon of gangster films. Eddie shoots it out with George’s gang and manages to make it onto the street but he receives a fatal shot, just as the police arrive. Eddie’s fatalistic story is now at its tragic completion – the sacrificial figure who dies to save the husband of the woman he loves, yet never loved him. He stumbles as he is dying, onto the steps of a church, lurching before finally falling down to the bottom of the steps – dead. As Panama holds him, Scorsese’s description of the scene as Michelangelo’s Pieta could not be more fitting – the gangster turned Christ-like figure, sacrificing himself for the love of others. Eddie has redeemed himself. It is impossible not to feel our eyes well with tears, as we hear the strains of ‘My Melancholy Baby’ and see the also tragic Panama holding the man she loves. As the camera pulls away, the final words act as an epitaph: ‘He used to be a big shot’. In many ways, The Roaring Twenties was an epitaph for the classic gangster film and the type of gangster that was portrayed during the original classic gangster cycle of the 1930s. In real terms, everything was changing and even Eddie tries to tell George just that before the finish. In the film, the rise and fall of the gangster is not based on the ruthlessness, greed and cruelty that was evident in the canonical trio of the Pre-code era. Instead, Eddie’s rise is due to forces outside his control and his fall is a result of his principles and the most beautiful and tragic emotion of all – love. So the gangster portrayed by Cagney is a tragic figure of almost Shakespearean proportions. The Roaring Twenties has its’ weak points. As mentioned earlier, Hellinger’s script has its’ critics – Dennis Schwartz calls it a ‘hackneyed script’ and Cagney was not a fan of the script either. Yet Walsh overcomes this through his genius as a director, sense of comedy, applying touches through music and scenery that evoke the nostalgic tone of the story and his ability to bring together a period of time and personify its’ tragic tale into the life of Eddie Bartlett. Fernando Croce in CinePassion stated ‘if Raoul Walsh didn’t invent the Warner’s style, then he certainly brought it to its electric apex’. Absolutely. Despite the generally strong supporting cast (which was one of the great strengths of Warner Bros.), it’s difficult to see that Priscilla Lane as anything but a cute kid and as a singer, she’s merely average. Yet perhaps it is clever casting – as an audience, we may ask ‘what does he see in her?’ Despite his later musings that he prefers a hotel to a nice home, to Eddie she represents and is everything that the rackets aren’t – clean, wholesome and good. And of course, no-one can help whom they fall in love with. Additionally, Jean provides an ‘out’ for Eddie and when proposing to Jean, he adds when seeing her reluctance (thinking it’s his lifestyle), ‘I’ll get out. A few more years in this business, I’ll have enough dough…so we can settle down and forget all this. How does that sound to ya?’ As George will later correctly judge, Eddie loves Jean and there isn’t anything he wouldn’t do for her. As we sadly discover. Jeffrey Lynn as Lloyd never manages to stand even close to any of the other cast members, for my money. But, as Michael Grost points out in Classic Film And Television, his casting fits a character-type familiar in Walsh’s films. Eddie describes Lloyd as ‘big, dumb and good looking’ and even George tries to makes Eddie see that he is exactly the type of guy that Jean would go for. Lloyd is the romantic rival to Eddie and will provide Jean with respectability, certainty and stability. However, the greatest performance of all is that of James Cagney and it is his delivery of Eddie Bartlett that truly lifts The Roaring Twenties into the realm of masterpiece. Eddie Bartlett as the gangster is a myth – but it is one the audience is desperate to believe. The subtleties of Cagney’s execution of the role, as well as the power of the performance, could not have been matched by any other actor. If The Roaring Twenties is a masterpiece, it is because Cagney’s performance is one as well. Thank you so much! I really appreciate you reading my review. LOVE Cagney…there will never be another. I couldn’t agree more. He was someone very special and was electric on the screen. That scene on the steps gets me every time. 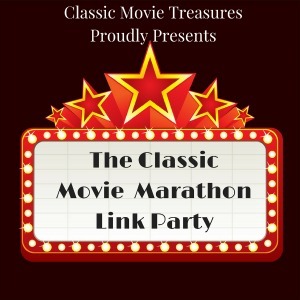 Thank you for sharing at The Classic Movie Marathon Link Party. This film wouldn’t be nearly as mesmerizing without Raoul Walsh’s direction and James Cagney’s performance. It’s a story we’ve seen before, but it feels fresh here. Great review! Thanks so much for your kind words. I agree that the Walsh directing and Cagney make this film – Cagney’s performance particularly is very special. 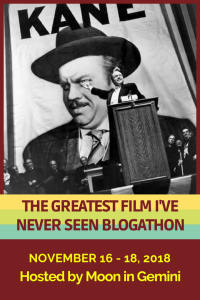 Lifts an average script into the pantheon of classic film.